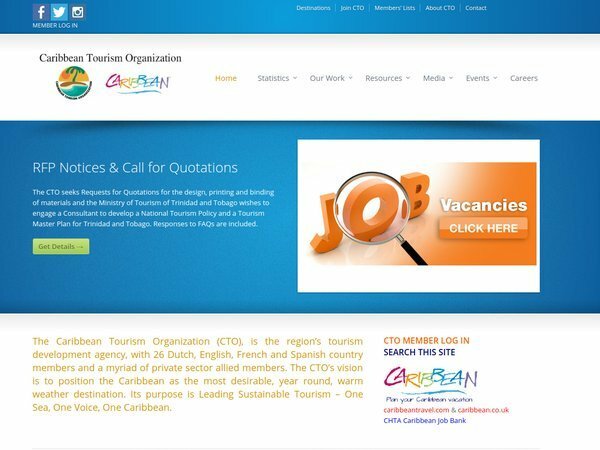 The Caribbean Tourism Organization (CTO), is the region’s tourism development agency, with 26 Dutch, English, French and Spanish country members and a myriad of private sector allied members. The CTO’s vision is to position the Caribbean as the most desirable, year round, warm weather destination. Its purpose is Leading Sustainable Tourism – One Sea, One Voice, One Caribbean.